All of my patterns are proven on Oregon, Washington and Idaho. Some of the closer to home rivers includes Deschutes, Klickitat, Grande Rhonde, Cowlitz just to name a few. Brad patterns are more in the way of summer and fall patterns for steelhead. Brad been tying and fly fishing on and off for 30 years. Brad takes a different mindset when tying and thinking outside the box. You can walk into any flyshop and buy a cookie cutter pattern but like anything He thinks if your not evolving with your patterns and materials you could be missing the next big thing (fly). Brad also ties spey style and stinger style flies but he loves tying the classic style and have noticed in the past two years that fishermen are leaning back toward classic styles and some big names in the industry have mention how they are seeing it as well. 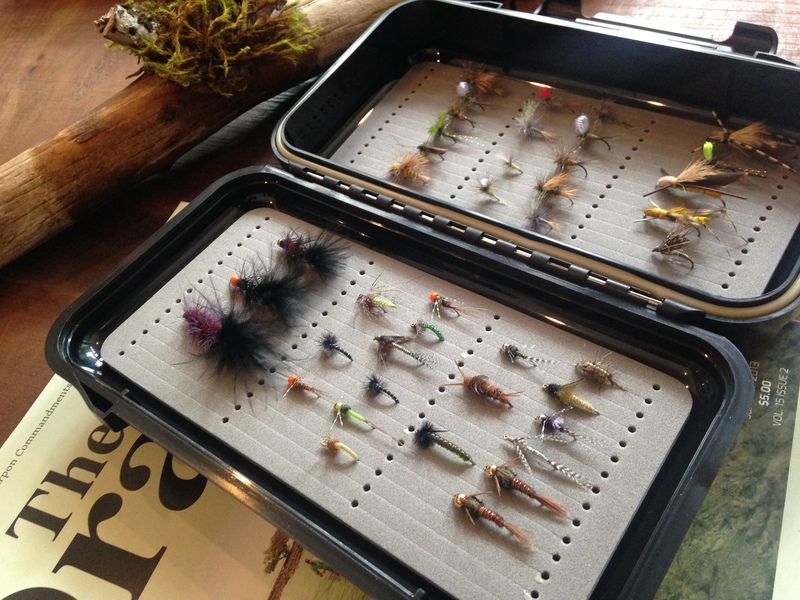 The fly box above are custom tied flies Brad put together himself for the Celebration Wild steelhead. Even though it is steelhead focus but he thought would be more fitting to folks to give custom tied trout flies for the special person who is getting into the sport! Whoever gets this box of flies is priceless! And will be very lucky to have a set of custom tied flies which you cant buy at a shop! I hope these flies get into the right hands and right mindset to embark on an awesome fishing experience!